Six seconds. That is the average amount of time you have to impress a hiring manager and land your dream job. Those six seconds can either open the door to a new career path or slam the door shut on an opportunity. 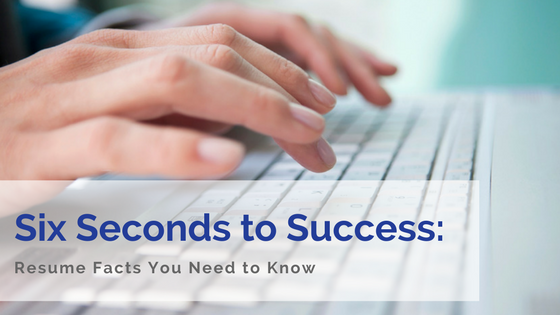 While that may seem like a lot of pressure to put on a short document and an even shorter amount of time, the fact is, for every corporate job opening there are an average of 250 applications. And of those 250 applications, only 4-6 (about 2%) will get an interview. Advanced Resources is Chicagoland's top award-winning staffing firm for HR, technology, finance & accounting, healthcare, and office support talent. See how we can help you take the next step in your next career. Visit our website to view open positions!